With a new EP out, and yet another nationwide tour in the works, The Fritz have plenty to be excited about. Friday night they will bring their dance-inducing mix of disco, funk, and rock to a sold-out Orange Peel in support of Pigeons Playing Ping Pong. For long-time fans of the Asheville-based The Fritz, it doesn’t get much better than this. Pigeons is the perfect band to pair with them, the pungent cheese to The Fritz’ funky grenache, a grenache, by the way, that is loaded with songs that have not yet been performed at a show in Asheville. To hear Jamar Woods (keyboard, Vox, Moog) tell it, all of the songs on the Echo EP were written within about a month of the actual recording, the bulk of that songwriting provided by Woods and Jamie Hendrickson (guitar). It’s hard to argue with that when you listen to the new record, in part because of the song-writing, in part due to the musicianship, and in part due to their working with good friends along every step of the way. The album was engineered by Josh Blake (Tuesday Night Funk Jam, IAMAVL, Granola Funk Express, etc.) and members of Snarky Puppy were brought on to play horns. With Josh behind the board, the camaraderie they share as a band, and their friends on horns, the final product is easily The Fritz’s best work yet. Still, it’s their community involvement, not just their tight tunes, that makes them so well-loved in Asheville. After moving here seven years ago or so, the entire band immediately immersed themselves in the community in a variety of ways. 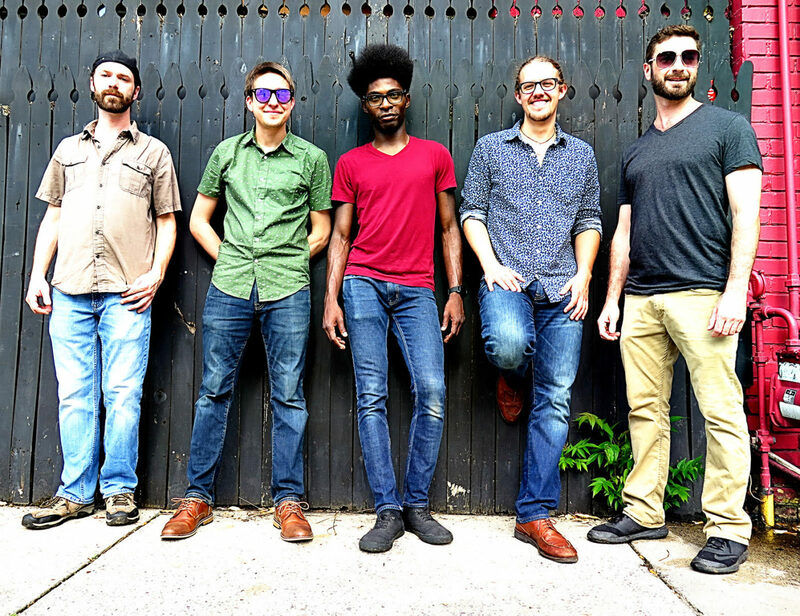 From playing Tuesday Night Funk Jam consistently, to their work with the Asheville All-Stars, to backing up other musicians, they have shown themselves to be enthusiastic about helping the music scene in this town grow. Friday night is just about the dead center of a nine-show run they will be doing with Pigeons before they head back out to Colorado, what has becoming another hot-bed of fandom for them. But first an Orange Peel show completely sold out and populated by not only their fans, but some of their best friends, including the guys in Pigeons Playing Ping Pong. Odds are there will be some crossover as well. Don’t be surprised if the guys from Pigeons sit in with The Fritz and vice versa. So if you don’t already have your ticket, I wish you best of luck coming up with it. If you do, I’ll see you there, ready to boogie like Saturday is never gonna come. Pigeons Playing Ping Pong with The Fritz is at The Orange Peel and is sold out. Some secondary market tickets are being posted in the FB event if you don’t have yours yet. Caleb Calhoun is an author, poet and journalist who resides in West Asheville. He is a founding member of the Asheville Slam Poetry Team, the producer of Get On The Bus, and writes freelance for a myriad of reputable publications. He has a dog named Dr. Gonzo that believes he is a mermaid and trouble keeping girlfriends. He can be reached at caleb.calhoun@gmail.com.